We have a lot of these flowers in the vegetable garden this year. I deliberately had the students plant them in every row and keep adding more when the plants wear out. They come in several different colors and sizes but I like the smaller varieties the best. I've heard for and against the idea that marigolds help. I did find this bit of info on a gardening site. Annual Marigolds can be used anywhere to deter Mexican bean beetles, squash bugs, thrips, tomato hornworms, and whiteflies. They are also known to repel harmful root knot nematodes (soil dwelling microscopic white worms) that attack tomatoes, potatoes, roses, and strawberries. 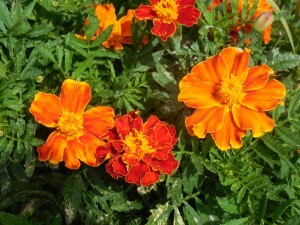 The root of the Marigold produces a chemical that kills nematodes as they enter the soil. 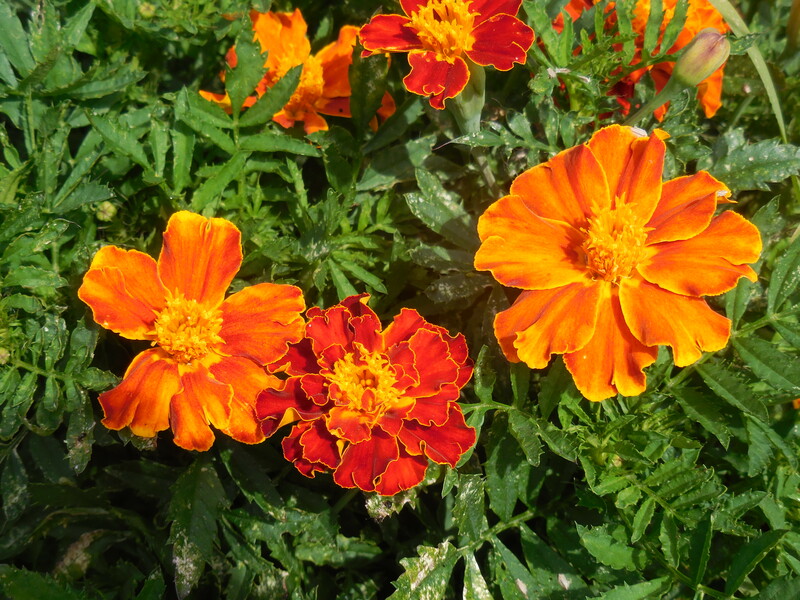 If a whole area is infested, at the end of the season, turn the Marigolds under so the roots will decay in the soil. You can safely plant there again the following spring. I like that their easy to grow, too.